Get the latest news, advice and guidance with our blog. Let’s help you discover your potential. Why robots are not going to steal our jobs! You’ve probably seen the warning that ‘Robots are stealing our jobs’, by which it is assumed that automation is diminishing workers’ opportunities and in danger of creating mass unemployment because of technological innovation. It’s a bold assumption, but like many bold assumptions, it’s highly likely to be false. I’ll give you two probability estimates to show why: one empirical, and the other one philosophical. The empirical one first. A quick Google search of UK unemployment rates – only available from 1971 – shows the highest level was 11.9% in 1984. I don’t think anyone will deny that since 1984 we’ve had unprecedented exponential advancement in technology. Yet at the same time, there are more people on earth than ever before, more jobs than ever before, and more jobs in prospect than ever before. Exponential increase, by definition, means technology is going to continue to enhance our robot capabilities more and more as we go further in time. But even if the technological progress curve doesn't continue to follow a precise exponential function, it is certainly going to continue to climb. And that being the case, there will be more jobs created, and at the same time more outsourcing to automation, which means more leisure time too, as we save labour on tasks. If you find this hard believe, here’s what you can do. Grab a pencil and a piece of paper, and create a graph in which the horizontal axis (x) shows a UK timeline of any two chronological coordinates of your choice (for ease, no earlier than 1950), and the vertical axis (y) shows the advancement of technology. Then draw a second graph with the same timescales, but this time with unemployment levels being shown on the vertical axis. If your doubts are justified, then you should observe the appearance of some kind of causal relationship. But there isn’t, of course - the two look nothing like each other. And once you factor in the other concomitant benefits of increased technology, on top of more jobs and more leisure time - such as a better standard of living, improved communication, more widespread access to knowledge, andlonger life expectancy - it’s fairly easy to part company with the doomsayers on this issue. Now here’s the philosophical consideration. Imagine if you time-travelled back to have this conversation with a journalist at the beginning of the Industrial Revolution, and he told you how fearful he was that these new farming, printing and transportation machines would bring a gradual end to humans’ ability to work. You'd simply have to tell him that a lot changed after the Industrial Revolution, and that those changes saw more people on the planet than ever before, more jobs than ever before, and an unprecedented progression-explosion in terms of standards of living and material prosperity. The key reason why there is probably nothing major to worry about is that what constitutes ‘work’ (where work means earning a living) changes with growing societies and increasing technological advancements. In the early 19th century you wouldn’t have been able to imagine how people could earn a living, say, making television programs, doing stand-up comedy, providing complex domestic litigation, designing cars, driving taxis, flying planes, building speedboats, producing Kindles, playing football, working at a bowling alley, advertising on websites, fixing telephone lines or analysing DNA or quantum mechanics. The same is true of this generation – the future ‘work’ that lies ahead is currently bound by technological limitations and unawareness of the activities that are currently not jobs but will be one day. As technology increases and those robots do things we used to do, we go on to do things we never used to do. In other words, we lose jobs thanks to technology (and make our lives a little easier in the process) and we create jobs thanks to ingenuity - and knowing your own career path in a way that best utilises your talents and experience, and optimises your prospects, can give you a significant advantage in what will be a highly competitive future jobs market. “Choose a job you love, and you will never have to work a day in your life”, says the well-known maxim. Here’s why you need to be in a job you love, and in a role that best utilises your talents. Each person in the workplace is unique; in their character, their personality, their experiences and their talents - which means they are also uniquely valuable in the role they are undertaking. Many managers and career development officers repeatedly get an important thing wrong: they focus too much on what isn’t there and not enough on what is there. Helping somebody find their optimum vocation in life isn’t really about finding what isn’t there and trying to put it there; it is about working on what is already there and helping individuals maximise the talents they already have. When it comes to the attempts that are made to put in what’s missing, you’ll find that people generally don’t change very much. But when it comes to making positive changes by finding the seeds of what is already present, and helping individuals cultivate those seeds to achieve their potential, people can change a lot - they just need the right guidance and support. The best way to help someone find their direction in life is to help them draw out the uncultivated talents that are already in there. The most beneficial way you can be helped to find the direction that best suits your talents, and the most helpful kind of career support you can have in your vocational path, is with someone who can work with you to discover what your unique talents are, assist you in setting expectations, and motivate you into developing your potential into maximum effect in finding the kind of career to best suit your strengths, qualities, skills and experience. With the right support and guidance, your untapped talents can be located and thereby released into performance, making your happier and more fulfilled in your work life, and in all other areas of life too. Here’s what you need to know about you. When it comes to matching your career to your unique character and personality, your talent is more important than your skills and knowledge. Your talent is made up of the inner qualities you have that can be consistently applied to productivity. Unlike skills and knowledge, talent isn’t something you can teach – it is the strength that best drives you to success in the most suitable vocation that complements the real essence of you. Your talent is like a cognitive filter that sifts through every stimulus and constructs a world uniquely perceptible to you. It is the quality that makes you the most reliable explicator of ideas in a team meeting; it is the numerical aptitude you exhibit in being the one in the team who makes the most reliable budget forecasts; it is the ability you have to identify a measured balance when others are losing their heads. The key to successful career development is finding the match between your talents and your career – because then you will most optimally excel in the workplace, and be happiest in yourself, in your work life, in your personal life, and provide the most value to those around you too. Goodbye detox, hello to a new you! The decorations are packed away and you’re still getting Christmas tree needles out of the carpet, 2019 has arrived, and with it resolutions that this will be the year you change things up and create a ‘new you’. 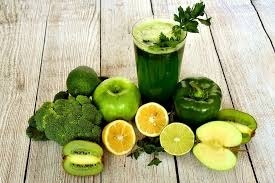 It’s time for a detox. Or, is it? Statistics show that sadly our new year resolutions, however well-intended, have fallen by the wayside for over two-thirds of us by Valentine’s Day, and gyms, which see memberships spike by up to 40% at New Year find that 80% of members who join in January quit within five months. Maybe it’s time to make a real, lasting change that will make you feel like a new you both inside and out. Without job satisfaction, life becomes a grind and it’s hard to find the motivation to get up and start another day. Your career can affect your mental well-being, happiness and all-round health. Compass Careers can help you kick start your 2019 – why not join us on one of our upcoming 3-day Discovery Breaks, give yourself some ‘you time’ and re-evaluate where you’re headed in your career this year? Once you are doing a job you enjoy, and which fits your natural talents and abilities, then you are on the path to a great year and a happier you. So, why not ditch the cauliflower smoothies (go on, admit it, you never really loved them anyway!) and instead make some key decisions which will positively impact your life not just for the next twelve months but into the future. In a Japanese restaurant in Norwich, on an evening in February 2017, a conversation evolved about careers and how important it is in life to be doing something you are passionate about and which matches up with your own values and skills. Most of our waking hours are spent at work, and what we do as a career can make all the difference to our own mental health and sense of well-being. How amazing it would be, we said, if we could spread the message that it’s ok to do something you love as a career – to make a hobby into a business, to have more than one job or work part-time and also be self-employed, to take control of your career and enjoy it. And how satisfying it would be to help people achieve this and fulfil their potential. As a result of that conversation, Compass Careers was born and we both realised that if this was our view, we were going to have to live it out ourselves - so we took the plunge and started meeting regularly to discuss how Compass Careers could work. We knew we wanted to do one-to-one career coaching with people but we also began to reflect on how busy life has become and how years can pass in a flash without much consideration given to our careers. As well as the careers field, both of us have a lot of experience in leading groups on trips and holidays and we thought it would be great to take people out of their busy lives, to a beautiful location in the UK and give them some time and space to reflect on their career direction and purpose in life as well as having a chance to relax and connect with others in a similar position. We are happy to say that we are now putting all these discussions into reality and have already arranged a great venue for our first Discovery Break on the beautiful North Norfolk coast. Actually, it just so happens to be Brexit weekend! So if you fancy a break from Brexit and/or want to consider your next steps as a result of it all, do come and join us!